Cons: Came with 1 screw of 2 needed to hold the bracket. Third strike in 3 months, I go somewhere else after getting ripped off $129 on a raid card. Cons: No boot-time firmware/BIOS access/reporting may be an issue for some (not for me). Other Thoughts: The 'con' listed may not be a con for everyone. The card's features are accessible through management software apparently. Personally I would have liked to have seen at least a 'Hello, everything's fine' BIOS message at boot, but there's nothing. Perhaps that actually IS a feature you can turn on, but we're not running a Windows environment here and thus haven't bothered to try the management software. For my needs, it's extremely fast and stable in a LACP LAG, and was plug-and-play with FreeBSD 9.x's bundled drivers. I've yet to have any issue whatsoever with Intel NICs. You get what you pay for. Pros: Under FreeBSD 9.0 on a GB MB I am able to achieve 1Gb-10% without effort. Cons: The BSD folks do not yet support larger MTUs. Cons: None so far (other than possibly the issue in Other thoughts -- but I don't know if it's the card's fault or the Supermicro motherboard's fault). 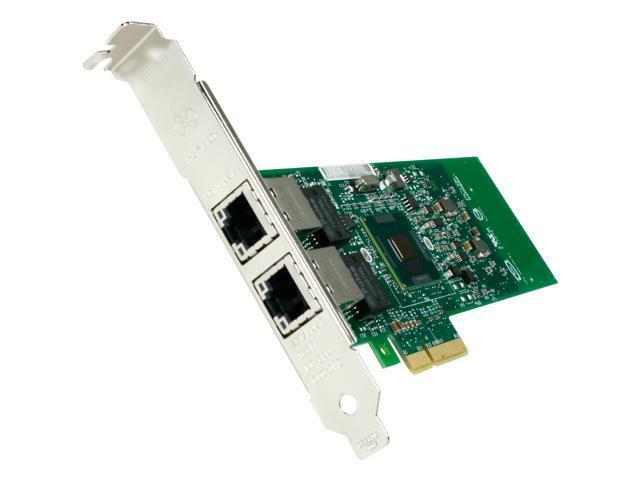 This card does work with ESXi 5 using out of the box drivers. It just doesn't work in slot #6 (an x8 slot) on a Supermicro MBD-X9SCM-F-O. After moving it to slot #4 (a x4 slot) it works fine. Cons: Doesn't work with ESXi 5 out of the box, and I've searched high and low unsuccessfully for an add-on driver. Wasted $177!